In the moment when your fingers are hurting and you can no longer hold on, everything is telling you it’s time to let go and find a new hold. This is a lesson ArcStone designer Mike Sasorith discovered through climbing, and it’s also a metaphor he filters into his life. Mike didn’t connect with athletics while in grade school and found it difficult to get into any kind of sport later on in his life. 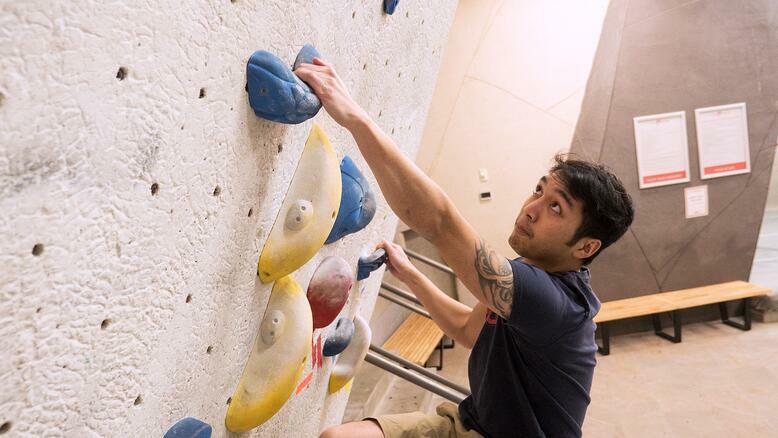 It wasn’t until 2015 when his girlfriend, Nancy, needed a partner for climbing did he connect with a physical activity. “I didn’t like the stigmas connected with most sports. The comparisons and judgments of what supposedly determine masculinity – your strength or how fast you are,” Mike shares. Most people will not bulk up solely from climbing, but it works another part of the body: the brain. 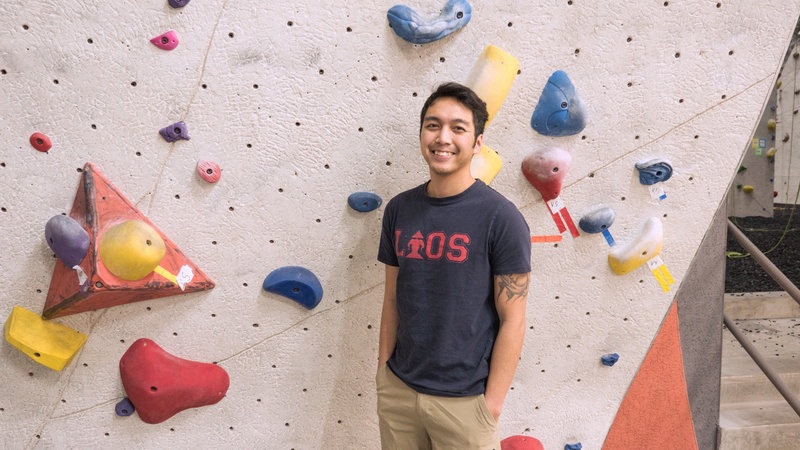 In life, as in climbing, Mike has found different paths to connect his physical and mental strengths. “It’s a physical thing, but it’s also a mental thing,” Sasorith says. “When I think about my job as a designer and climbing, I think about how they oddly connect with each other. It’s the idea of solving problems. 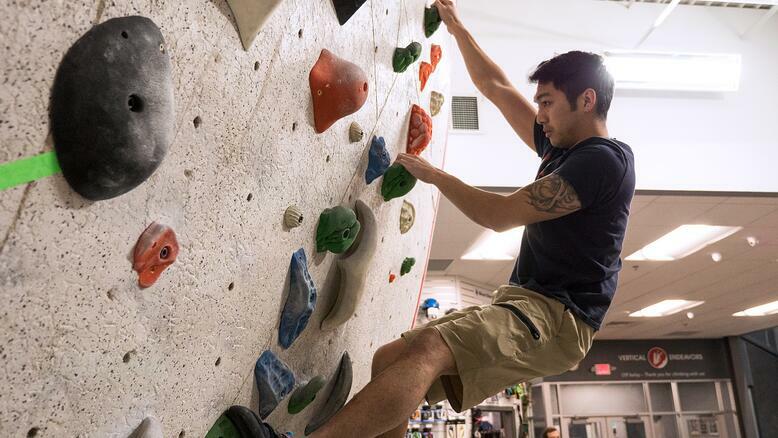 When you’re climbing, you’re trying to figure out a route or a specific move to accomplish the route.